Southwest No. 2 singles player Lilly Zhou runs to meet the ball against Lincoln East Monday at Woods Tennis Center. Lincoln Pius X bolted to an 11-run sixth inning rally Monday to defeat Lincoln Southwest 11-8 at Densmore Park. Parker Swanson recorded five RBIs in the sixth inning off a three-run home run and a two-RBI single. Between Swanson's damage, Ben Aldridge added the Bolts' second home run of the inning with a grand slam that tied the game 8-8. Lincoln Southwest took the commanding 8-0 lead with two runs in the bottom of the first and added four more in the second. The Knights added to the lead with two runs in the fifth before the Bolts stormed back. After Justin Leggot was hit by a pitch to begin the top half of the sixth, Pius X added a single, double and Swanson's home run to cut the deficit to 8-4. Nick Sehnert added a double between Jonathan Bauer and Levi Ackermann walks to load the bases for Aldridge's grand slam. Cody Mlnarik picked up the slack on the pitching mound for Pius X, tossing six innings of relief after Ben Mitchell was pulled after the first inning start. Mlnarik finished with eight strikeouts. 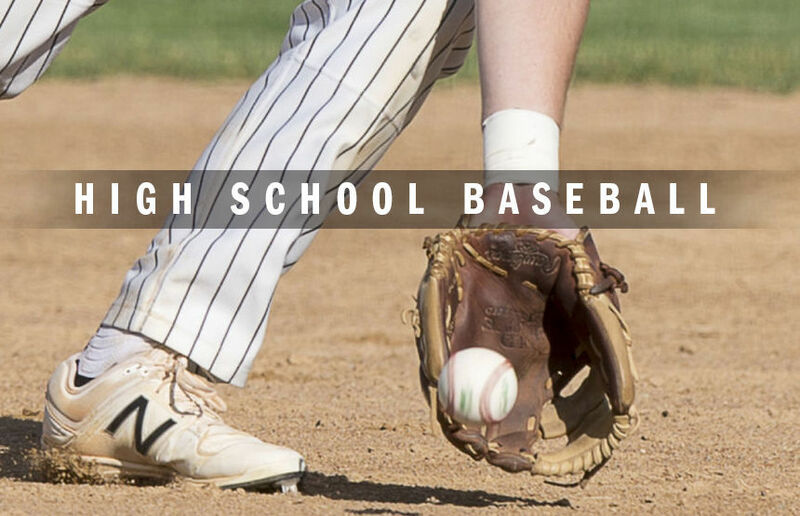 Wahoo/Bishop Neumann/Lincoln Lutheran 9, Platteview 8: The Warriors walked off with the Nebraska Capitol Conference Tournament after Trey Ahrens drew a bases-loaded walk to end the game. The Warriors scored seven runs in the fourth inning, but Platteview answered with six runs in the sixth. Lincoln Northeast 6, Lincoln High 2: The Rockets raced out to a 3-0 lead in the first inning and coasted to a four-run victory over the Links. Lincoln High outhit Northeast 8-2, but committed four errors to Northeast's two. Connor Solano went 1-for-2 with three RBI and Daustin Manske pitched a complete game, striking out five batters for the Rockets. Tristan Brandt finished 3-for-4 for the Links. North Star Invitational: Thi Huynh picked up a first-place finish at No. 1 singles while the duo of Rylee Schurman and Tara Ferrel won No. 1 doubles to help the Navigators capture the home invitational. North Star finished with 45 points. Norris finished second with 36 points and Columbus rounded out the top three with 33. Lincoln East 8, Lincoln Southwest 1: Kathy Le and Hailey Harr survived a 9-8 No. 1 doubles affair and the Lincoln East Spartans rolled past the Silver Hawks. Kristina Le and Elly Johnsen added an 8-6 victory at No. 2 doubles and Shree Bhogshetty and Brooke Sailer gave the Spartans a doubles sweep with an 8-2 victory at No. 3. Grace Bartolome would revenge the No. 1 doubles loss to Kathy Le, defeating the junior 9-7 at No. 3 singles for the lone Silver Hawks' victory. Creighton Prep Invitational: Luke Kluver shot a 69 to help Norfolk sweep individual and team honors at Champions Run. The Class A defending state champion Panthers carded a 308, seven shots ahead of Millard North. Lincoln Pius X, which finished in fourth place, got top-10 finishes from Kody Sander (77) and Jason Kolbas (78). Lincoln Southeast 4, Lincoln Northeast 0: The No. 5 Knights jumped out to a 2-0 lead at the break over the Rockets. Cassie Nash then netted two second-half goals in the 50th and 68th minute for Southeast to put the game away. Millard South 1, Lincoln North Star 0: Lauren Thompson scored in the second half to lift the Patriots in the opening round of the Millard South Tournament. Lincoln East doubles players Kathy Le (left) and Hailey Haar high-five each other during a match against Lincoln Southwest Monday at Woods Tennis Center. Lincoln Southwest No. 1 singles player Shelby Henry hits a backhand against Lincoln East Monday at Woods Tennis Center. Lincoln East doubles player Hailey Haar serves the ball Monday against Lincoln Southwest at Woods Tennis Center. Lincoln East doubles player Kathy Le hits a forehand shot Monday against Lincoln Southwest at Woods Tennis Center. Lincoln East No. 1 singles player Bianca Rademacher returns the ball against Lincoln Southwest Monday at Woods Tennis Center. Lincoln East doubles player Kathy Le hits an overhead against Lincoln Southwest Monday at Woods Tennis Center. Lincoln East doubles player Hailey Haar returns the ball against Lincoln Southwest Monday at Woods Tennis Center. Lincoln East No. 2 singles player Brooke Sailer returns the ball against Lincoln Southwest Monday at Woods Tennis Center. Lincoln Southwest No. 2 singles player Lilly Zhou returns the ball against Lincoln East Monday at Woods Tennis Center. Lincoln East No. 1 singles player Bianca Rademacher lunges for a forehand against Lincoln Southwest Monday at Woods Tennis Center. Lincoln Southwest No. 1 player Shelby Henry runs to make a backhand shot against Lincoln East Monday at Woods Tennis Center. Lincoln East No. 2 singles player Brooke Sailer hits a backhand against Lincoln Southwest Monday at Woods Tennis Center. Southwest No. 1 doubles player Grace Bartolome asks for an out call during a match against Lincoln East on Monday at Woods Tennis Center. Southwest No. 1 doubles player Allie Haggar looks up hit the ball back over the net against Lincoln East on Monday at Woods Tennis Center. Former Lincoln Northeast all-state guard Malcolm Whitlow will be staying in Florida for his college basketball career.